Year 1: 115 Lutheran mug swappers. Year 2: 511 . . . in celebration of the 500th anniversary of the Reformation. This year, because some ladies were a little over all things fall -- turns out not every gal loves her some pumpkin spice lattes -- we're swapping Advent and Christmas mugs . . . and maybe even a recipe or two. Also, not sure why Amy Grant doesn't sing that Advent is the mooooost woNDErful tiiiiiiime of the year but WHATEVER. Now read this next part closely because things have changed a bit. I pair you up with another gal and send you both the pertinent information you'll need to know about one another (names and adddresses, etc.). This is different from previous years. You're matched up with one person, and she's matched up with you. The end. You peruse that information, which will give you a glimpse into her style, winter drink preferences and personality. You can friend her on Facebook if you want or shoot her an email introducing yourself. If you'd prefer to stay behind the scenes until she receives your package so that it can be a surprise, that's fine too! Either way. You put together a little care package for her, based on that information. YOU MUST, AT THE VERY LEAST, SEND HER A MUG. Beyond that, you're free to add as many goodies to the package as you'd like -- as long as it doesn't cost you over $25.00. Again, this part is up to you. Stick that package in the mail! Channel some Advent penitence, and wait patiently by the mailbox for your buddy's package to arrive for you. Eat, drink and be merry . . . but not too merry. It's not Christmas yet! If you're 21 or older, sign up by clicking this link and filling out the form. 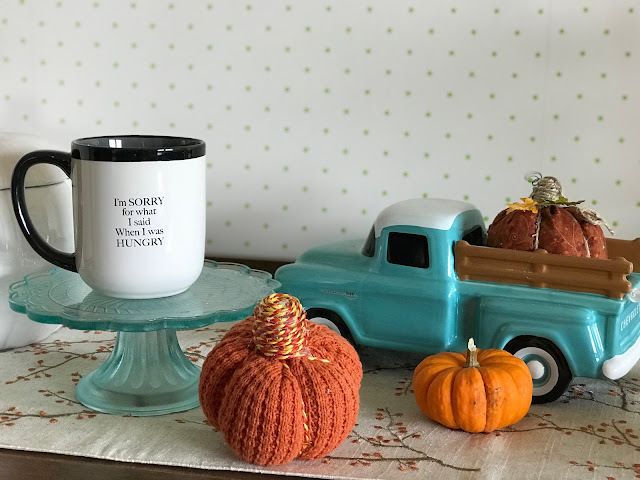 Again, after reading up on your new friend, head to Walmart or Home Goods or any place in between to put her fall swap package together, which must include at least one mug. Send the package -- along with a little note with your name and how she can connect up with you -- by November 15 so that she receives it in time for Advent and Christmas. Post a picture of your swap package when it arrives. Use the hashtag #hereiswap2018 on Instagram, Facebook, Twitter and Snapchat. You can meet even MORE Reformation-lovin' ladies that way! A friend shared this on FB, I love doing swaps! But do you have to be Lutheran to participate? I’m a non denominational Christian. why don't you start a non-denom Christian mug swap?? I didn’t say that I was a non denominational Christian in a rude way. I was asking because I didn’t want to disrespect this page if this was just for Lutherans. How about this? You go ahead and register, and I'll see if I can find another friend who may or may not be Lutheran who would like to swap. If I can't, you're not out anything. But if so, you're golden! Sound ok? I would love to be the one who swaps with mandyb ! I got my package, how early can we open it? Thank you again so much for organizing this swap! It's so much fun and I look forward to it every year. Thank you for helping connect Lutheran women to one another. What a blessing!